The Prophetic Word to you in the month of June is; IT IS FINISHED! God Announced There Would Be Storms In The Midwest. 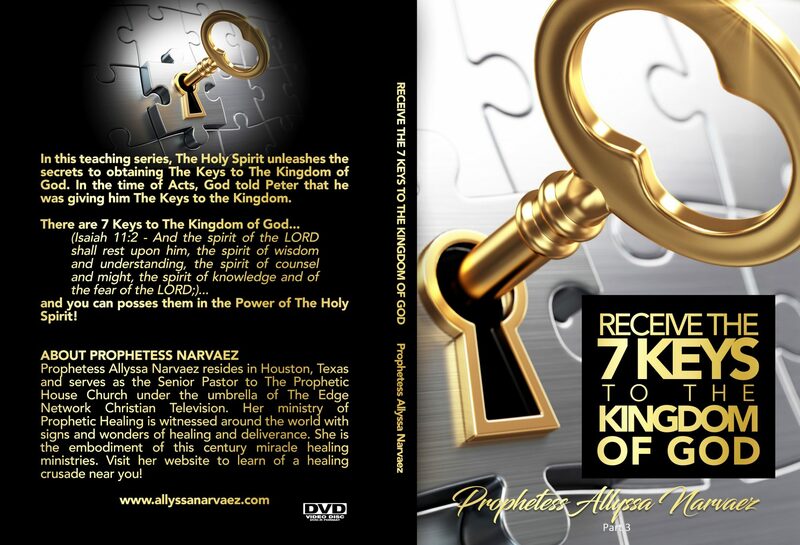 Allyssa Narvaez Ministries and The PRophetic House are launching Monday June 5th a 24 hour Live Prayer Line. Our goal is to have someone praying 24 hours a day 7 days a week. We are a group dedicated to the necessity of Prayer! When Jesus Christ became our mediator he went to The Father to mediate for you. As a Prayer Group we are committed to Praying to Jesus for the world. Prayer is the essence to a saving grace. Pray with us as we pray for you 24 Hours a day! Our Theme this month is Thessalonians 5:17 Pray without ceasing! Learn More Here. I dreamed I lead a company. It was a large company. I dreamed the company was becoming successful. One day a trusted confidant came to see me and reported “The Spirit” of the employees. She said they were becoming disgruntled, complainers, mockers and scornful. I couldn’t grasp why they felt this way because in my opinion everything was going well. So I thought. I treated them especially well. We gave them great compensation, bonuses and generous vacations. We treated them with value. I told her, “Ok”. I formed a meeting to hear the voice of the people. We met in a storefront space located in the mall. The space was very large. There had to have been at minimum one thousand people falling in the doors. They were loud, dismayed, inattentive and rude. They entered and I could hardly start the meeting. This person needed to run out; to their car, to get this and another person, needed to go, get that. In and out the door they went and came back and forth. They were talking in an intrusive manner to the meeting. The annoyance of The Spirit of the people made me feel rejected and the meeting had not even started yet. They simply lacked R.E.S.P.E.C.T. I started the meeting. I went to the podium and went right to the heart of the matter. I didn’t start off with hello or thank you for coming. I said, “It has been called to my attention that a number of you are dissatisfied and I am here to hear the heart of you and see if I can bear your burdens with change.” The floor was open. One said, “I don’t like this….. And I don’t like that…..” In the dream I could not hear what they were saying. They were not really saying any complaints. I felt the “Spirit of Discord” in the people. Their hearts had been turned against the company without a valid reason. Then a woman spoke up, “I don’t like the fact that Jesus is mentioned. I have my own religion and I don’t want to be forced to accept or hear that.” This was the only complaint I physically heard. I instantly knew that Satan had infiltrated the vineyard and was beginning to turn the people away from the infrastructure of the company. The leadership of the business was lovers of Christ and the employees did not have a valid reason to become hard in their hearts. I could feel my passion to take the floor now! I stood with authority. I spoke with fervency and poise, “Well let me say this, this company was founded on morals, value and commitment. I Am A Preacher!” The people looked surprised as if they did not know. “This company stands on and will advance based on the very thing that started it. It will move forward in Jesus Christ and God! How many people left the old company I managed and came with me to start this new one? Raise your hands.” Almost half of the people raised their hands. I knew if the “other hands” of the people left the company it would disassemble the operations. I went to say further with the conviction of a preacher, “So I know they will stay.” The other company I managed closed down. I took the people that battled with me in the hard times of the old business. We went through the hardship of dissolving the company together. I took with me when we started the new company the employees that never left the old business and stood behind the leadership, and said “We are here with you until the end.” I said it again, but this time I was I knew I was talking to somebody; and I said it with authority, “I know they will stay!” I was letting “The Devil” know, the demon of disassembly, the destroyer, “I Know They Will Stay” In a no weapon formed against us will prosper tone. “Now if the rest of you want to leave, Get!….Up!… Right!…Now! Walk out that door and I mean it. Because I know that the same God that made it possible for this to start, will build it back up and it will be better.” I could see and feel better production, better customer service, better sales, healthier distribution, better planning and a stronger leadership. “If you must complain then you must go.” I then awoke. Thus sayeth the Spirit of GOD, “This dream is for those who are afraid to face the demands and pressures of the “Devil of Compromise”. Compromise will create an environment for selling your soul; being sold out for what others are pressuring you to believe; a lie. Satan wants you to believe a lie, that if you choose his way it will give immediate gratification. The Demon of Compromise always but A.L.W.A.Y.S. chooses to infiltrate your house through the one he views as the weaker; the baby lamb; the baby that is spiritually a new birth. I have come that you may know the difference. I am writing these words that you may become spiritually strengthened. You become strengthened by manifesting the Fruit of The Spirit. The dream really felt real. The enemy was running a ribbon of discord through what God had built and with all the conviction of my life I knew God would come through for us again. I didn’t mind letting the things go that seemed to keep it functional. God was showing that he keeps it functional, not man. So many times we believe in and depend on the skills of others to keep it together, not acknowledging that God not only keeps it together but he is the one that put it together. Trust in God not man and when we compromise this we are weakening the entourage. People can fail us but God will never fail us. GET YOUR COPY! Get The New Prayer CD for Cancer and Diabetes! ARE YOU A PROPHET IN TRAINING AND DON’T KNOW IT? God then showed me who The Voice was I would speak with at night. He began to send me visitations with his spirit. I experience visions, dazes and even dreams all of The Holy Spirit. They were encounters. After a year a Prophet was made. Sierra Narvaez is the daughter of Allyssa Narvaez. Sierra is student of the 11th grade in High School. She is a Honor Roll Student a member of the National Honor Society, multiple academic award recipient and an Evangelist of The Kingdom of God. Sierra loves to teach the Gospel of Jesus. Tune into her anointed words of wisdom on Wednesday Evenings on Facebook.